After starting Getaway in 2015 with Co-Founder Pete Davis, Staff rapidly grew the company and now handles expansion strategies, culture, and brand experience while also serving as creative director. 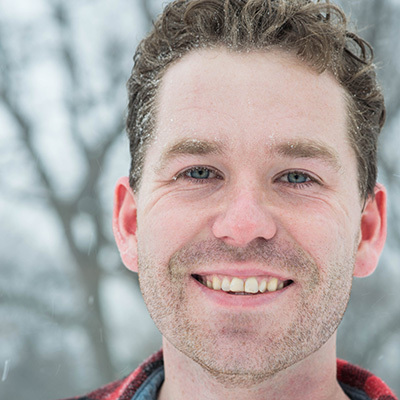 After moving to Boston, Staff missed those nature-centric activities of his childhood in rural northern Minnesota, but pursued a career in politics—earning his Bachelor’s in government from Harvard in 2010, meanwhile interning at The White House before switching his focus to media and entertainment. Collaborating with Harvard Graduate School of Design students on the design, Staff and Davis built the first tiny cabin—with help from Staff’s father—and hauled it two hours outside of Boston in mid-2015. Booked out for months, the duo knew they had struck a chord and continued adding cabins and expanding to New York City and Washington, DC. In 2017, earning his MBA from Harvard Business School, receiving $15 million in funding that helped solidify the venture, Staff reveled in the fact that both guests and investors shared and believed in his vision. When not ideating the next evolution of Getaway, Staff continues to spread the word about work-life balance, disconnecting, and recharging by participating in thought leadership summits and conferences. He lives in Brooklyn, NY, with his partner, Michael.